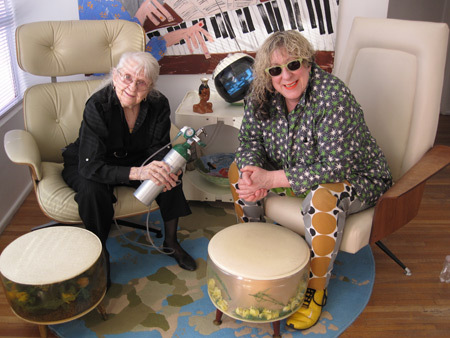 I just got the news that Jerrie Thill, the 91-year-old female drummer on an oxygen tank who I did my song and video, “Hey Jerrie”, with in 2009, passed away last night. 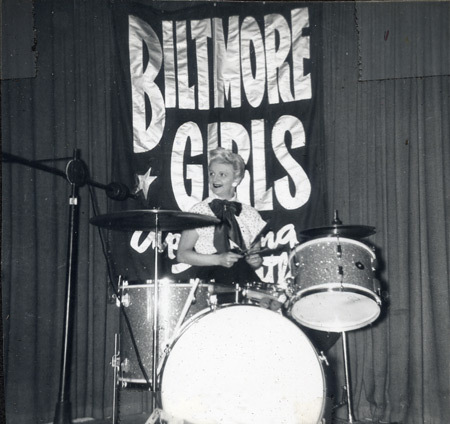 She was a killer drummer and an astounding spirit, albeit a slightly deflated one over this past year since she broke her hip and was no longer able to play. 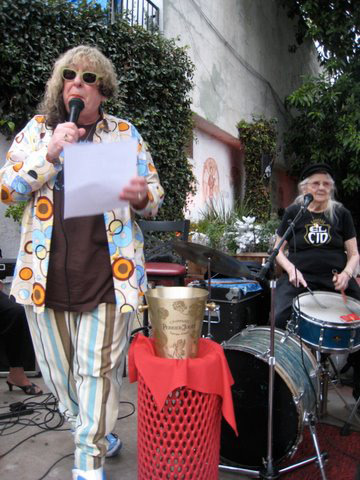 We became great friends after I met her in 2008 during one of her regular Sunday gigs at El Cid. 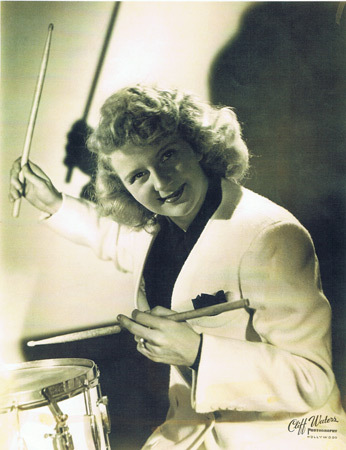 Jerrie was the hardest working woman in show business, smacking the drums since being discovered in the midwest by one of the Capone boys during Prohibition. 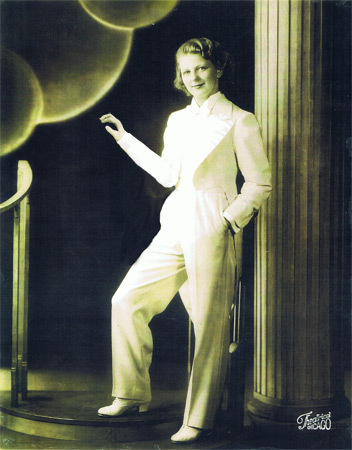 Eventually Jerrie moved to Hollywood in 1945 to be the bandleader at The Flamingo, a drag club on Sunset owned by Myron Cohen. 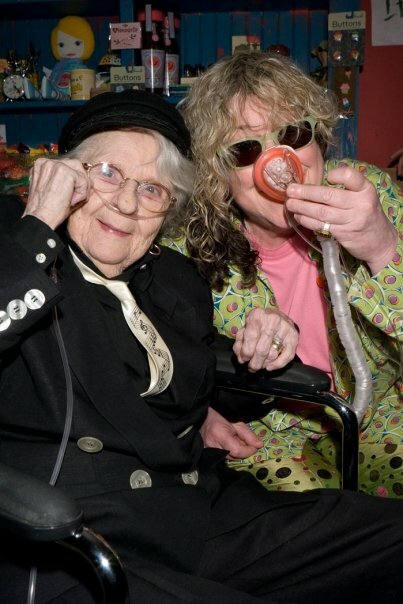 She gigged constantly ever since, doing all kinds of dates including appearances on shows like The Golden Girls with her then band, The Dixie Belles, until her hip injury which happened just a few months after “Hey Jerrie” came out. The video caught on fire on YouTube and at one point was even the 12th most viewed video in the world. With no promotion it’s gotten almost a quarter of a million views, a source of great happiness to Jerrie and mandatory viewing for anyone who walked into her house or hospital room. If you haven’t seen it please watch it now as a way of paying tribute to this fine, ever-foxy lady who smacked the skins like no other. I’m happy to say that Jerrie was sharp all the way to the end. 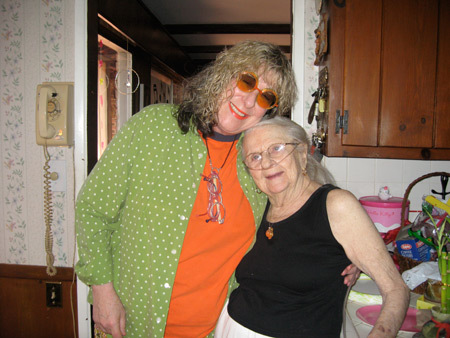 She loved to gossip and talk about music which we did frequently. 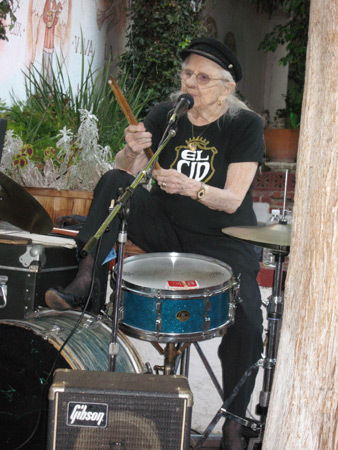 She did one final performance at El Cid after her hip broke. 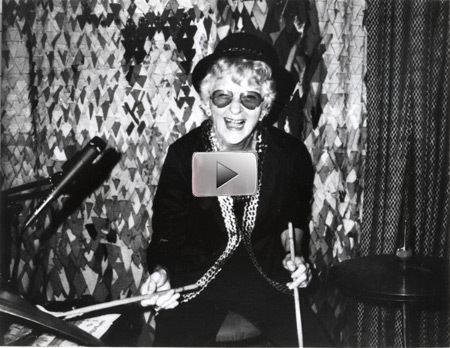 I was set on re-cutting my song “Neutron Dance” with her, the jungle drumming on that being something that Jerrie could do in style, and getting The Pointer Sisters to sing backup on the record. 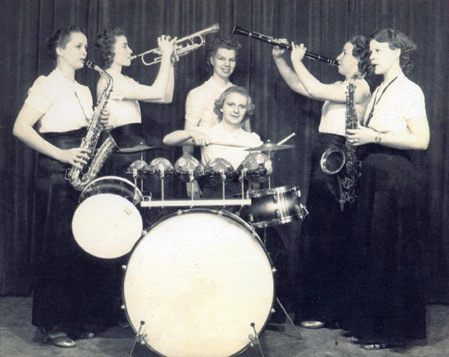 I reassured her that in this day and age we could cut one drum at a time but I think she couldn’t deal with the fact that she had slowed down at all so it sadly never happened. I’ll miss Jerrie a lot but am heartened by the fact that she knew it was her time to go and that she can make a lot more ruckus up there, free from injury and age. 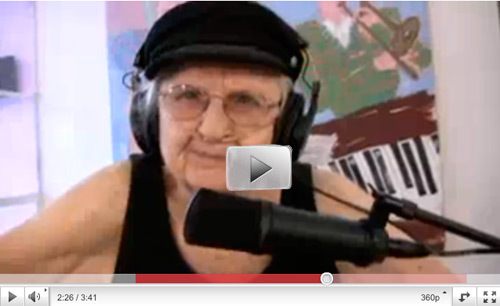 I’m assuming she’s playing her signature song, “When You’re Smiling”, right now.